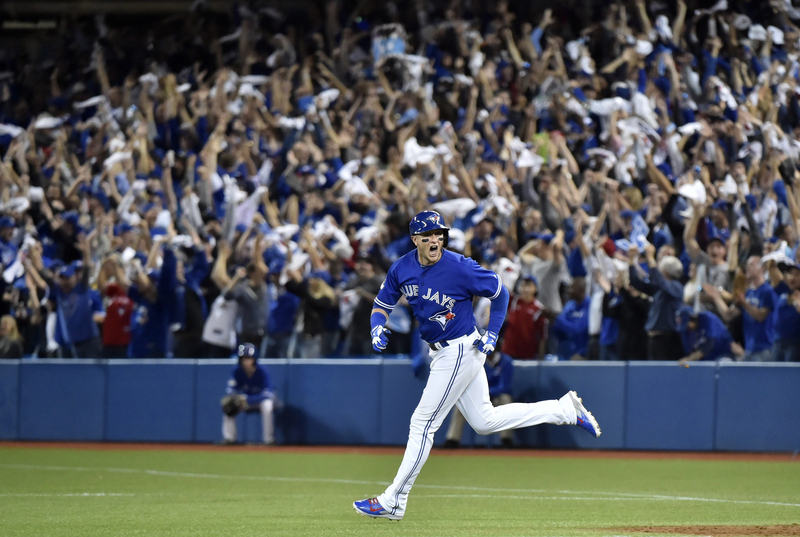 The Blue Jays, comfortable and eager to get back to the Homer-Dome, did so in electric fashion. Tulo and Donaldson both hit bombs in a 6-run 3rd inning to blow the game open, and KC made the final score look closer than it was and actually out-hit Toronto. Aside from the explosion of runs, someone tell me how a player gets ejected BEFORE the top of an inning as Tulo did in the start of the 8th? When will MLB crack down on these clowns who think they are just as important as the players – NEWSFLASH, you don’t like it when players argue balls and strikes – then call the damn strikezone correctly and stop having different variations per umpire on what bottom of the letters to knees means. At one point the Giants had 8:19 left in the game and that was enough time for them to get 3 more 3-and-outs. This game was so terrible to watch that I began to count the penalties and turnovers – I stopped at 18 and 6. If you are a Cowboys fan ,you can not be happy, because your while your team has no running back and is beset with injuries – you feel that until Romo comes back you’ll just keep sliding – meanwhile the Eggles are tied for 1st, and that’s really sad. We have 5 undefeated teams and at no time has this many teams been unbeaten, this long into a season. So it got Rob Maaddi thinking over there at the Associated Press and he came up with the idea that Superbowl 50 could feature two undefeated teams. We should all “friend” Rob in hopes he shares with us, whatever it is he has, because I’d like to see a sky like that in my world just once. You forget that the NFL changed the NFL trade deadline so more teams might make mid-season trades to dominate more and more of the news cycle and make it as exciting as it does for baseball. Not sure if it has caught on, because until Jason Hirschorn brought it up on Sports On Earth, I had forgot all about it being a possibility. An interesting point was brought up by Nick Wagoner at ESPN – What if the Rams were denied Los Angeles, would they still move? Sounds a lot like if a tree falls in the woods. For the NFL, the are letting the fans of St.Louis, San Diego and Oakland speak at the end of the month – like the NFL gives a damn, but they’ll placate you anyway. If a team wants to move let them and make them build whatever diaphragm looking structure they want on their own dime. watching the NFL on TV is better at home anyway and if you’re a fan you can watch YOUR team from any city, so…. Become a Member – Use Promo Code: WORD1 – and Get 25% Off Your 1st Month!